There are some grooves, rhythmic patterns, that are such keys pieces in the language of drumming that we continually focus on their impact. Things that are constant reference points for me are Clyde Stubblefield’s “Cold Sweat”, David Garabaldi on “What is Hip”, Tony William’s use of triplets, Elvin, Jimmy Cobb’s approach to “Kind of Blue”. We all have our favorites that have become part of our unique way of speaking on the instrument. That brings me to this thing called ‘The Purdie Shuffle”. Why is it such an influential part of modern music? It’s like it has a life of it’s own! At the risk of over analyzing a drum part, I’m going to try to explain what it means to my playing. 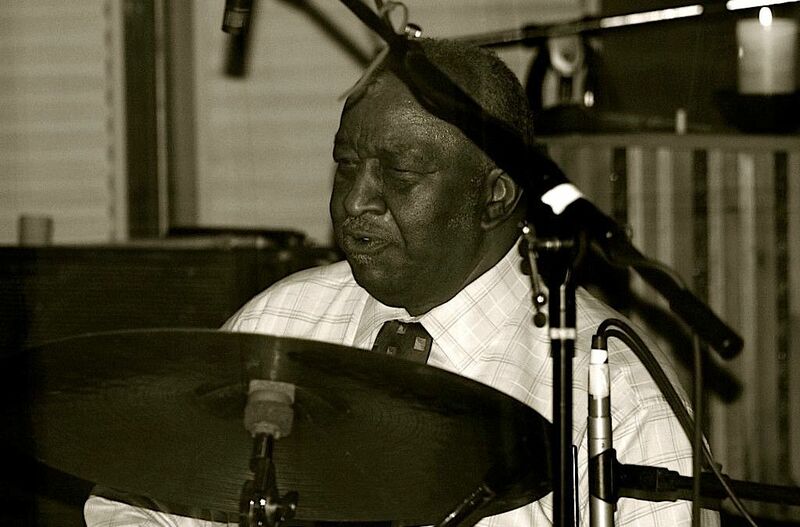 After studying with Bernard Purdie and working directly with him on this groove, I can say that the Purdie Shuffle brings together all the elements of drumming and rhythm into one statement to where I look at it as a Universal Rhythm. Universal, to me, means that it gave me an understanding of how all of the subdivisions of a note can work together simultaneously, harmoniously, to create a unique feel that passes through all types of music and cultures. Technically, it incorporates half notes, quarter note triplets, eighth note triplets, sixteenth note triplets, straight eighth notes, quarter notes and the key usage of ghost notes. It can be played with a quarter note feel, half-time, six-eight, afro-cuban…it crosses all the lines and requires a concept to create rhythmic layers and feels that are in balance on the entire kit. As with the other drummers mentioned above Bernard instills “locomotion” into everything he plays. No matter what the rhythm, you hear the subdivisions of the main pulses either literally or implied. This breathes life into whatever is being played. The Purdie Shuffle, to me, is the epitome of locomotion and it infuses the music with everything positive. It helps me realize how the drums can produce, not only rhythm but melody and energy that influences everything else I might play.